Demographic content has been updated for 50 countries in the first release of the year. First, the Advanced dataset for Japan, from Esri Japan, has been updated to incorporate the latest Census release from 2015. In addition, many popular data variables have been updated by Esri Japan using a variety of public sources. The data are available for the following geography levels: prefectures, municipalities, and blocks. More information about this release can be found in the methodology. In addition, the Advanced dataset for Germany, from Nexiga, which was updated to 2017 last December, now includes four (4) additional data variables: Total Male Population, Total Female Population, Total Births, and Total Deceased. Read the Release Notes for more information. 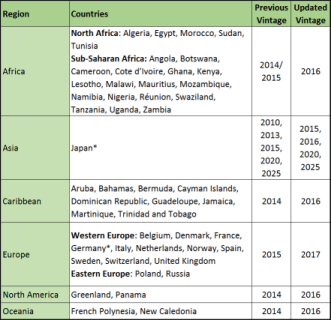 And lastly, the Standard datasets for 48 countries have been updated to reflect the latest estimates from Michael Bauer Research (MB Research). Not only does the release make available the last group of countries in the 2016 demographic update, but it also makes available the 2017 demographic variables for many European countries. Read about these updates in the Release Notes for each country. 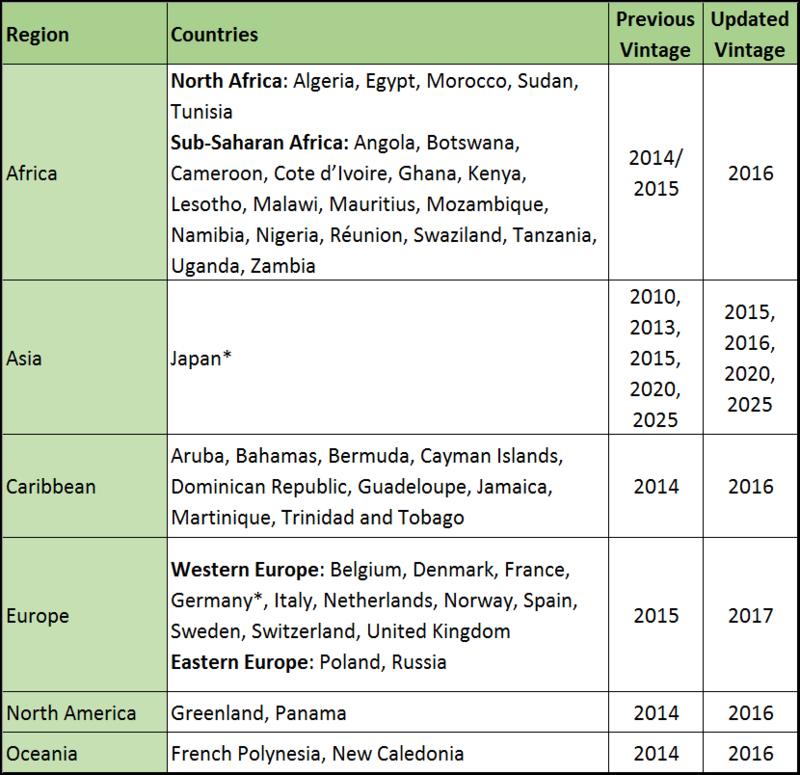 *Both Standard and Advanced datasets were updated for these countries. How will these updates affect me? Demographic layers and maps for 50 countries are updated. Business Analyst and Community Analyst users can access the updated data through reports, infographics, and maps. The complete attribute list for each country is accessible through the data browser contained in the application. The April 2018 update provides access to the datasets shown above. For a detailed explanation of new or deleted attributes in datasets, see the Release Notes for each individual country available on the Esri Demographics documentation pages. Changes to the layer IDs. Changes to attribute field names, IDs, and aliases including additions and deletions. Because of updates to the underlying data, users of the Demographics & Lifestyle Map Services may need to update these items in the query parameters of REST requests to the service from their apps. To view the updated map service REST endpoints, you will need to access the REST API with a developer or organizational account, using a token request. Changes to the layer IDs of the administrative/statistical boundaries. Changes to the layer names of the administrative/statistical boundaries. Changes to attributes/analysis variables including additions and deletions. 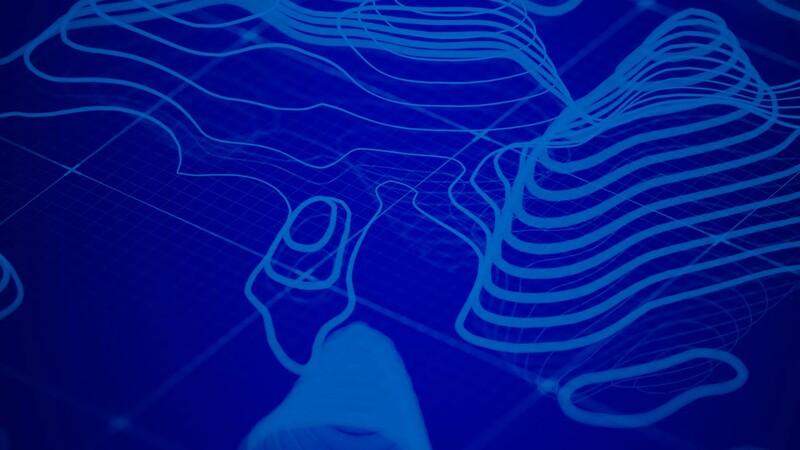 Because of updates to the underlying data, users of the GeoEnrichment Service may need to update these items in the query parameters of REST requests to the service from their apps. To view the updated REST endpoints, you will need to access the GeoEnrichment Service with a developer or organizational account, using a token request. 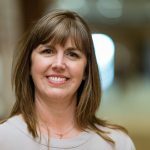 Lucy is a product manager for Esri's Demographic, Spending, Lifestyle, and Business data. 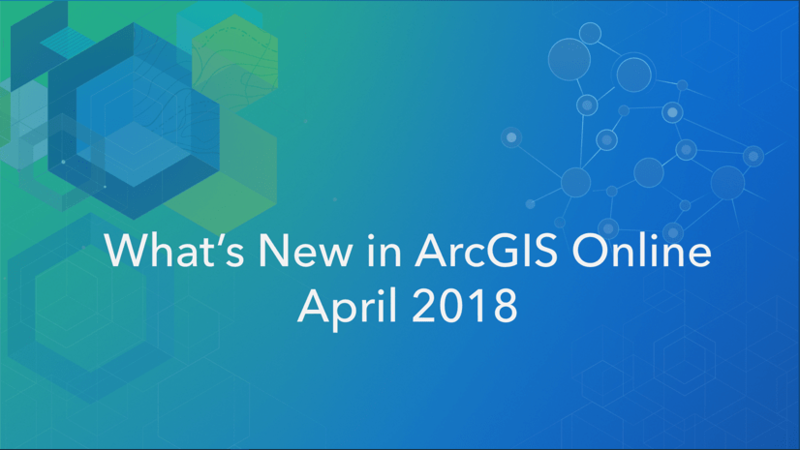 An overview of enhancements and new capabilities in the April 2018 ArcGIS Online release.